Due to bad weather, 3 basketball games had to be re-scheduled. 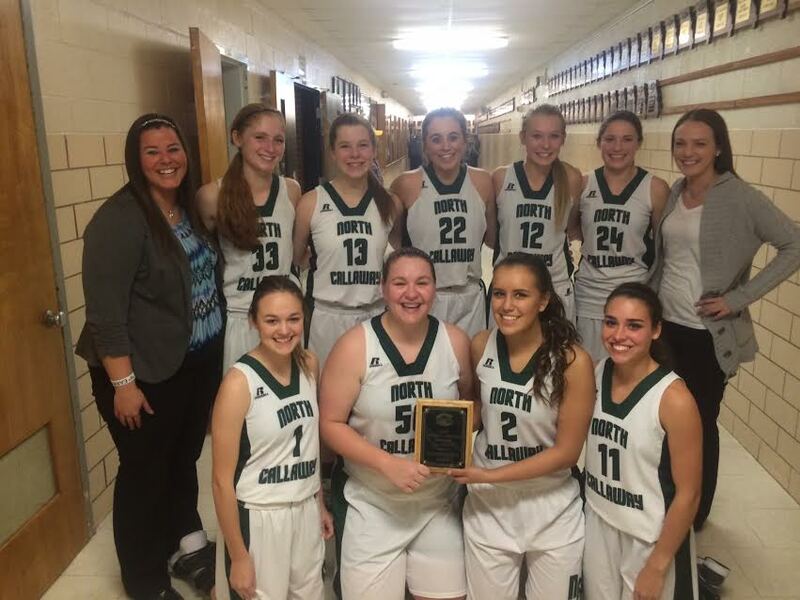 There will be a few opportunities to watch some North Callaway Athletes over the break. Basketball is Thursday December 29th at NCHS against Wellsville. JV girls play at 5 pm, then Varsity Girls, and finally Varsity Boys. 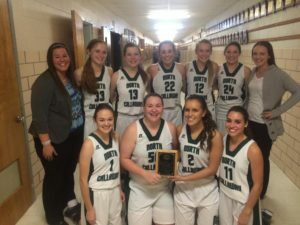 Basketball is also Monday January 2nd at NCHS against South Callaway. JV Girls start at 4pm, then JV Boys, then Varsity Girls, and finally Varsity Boys. 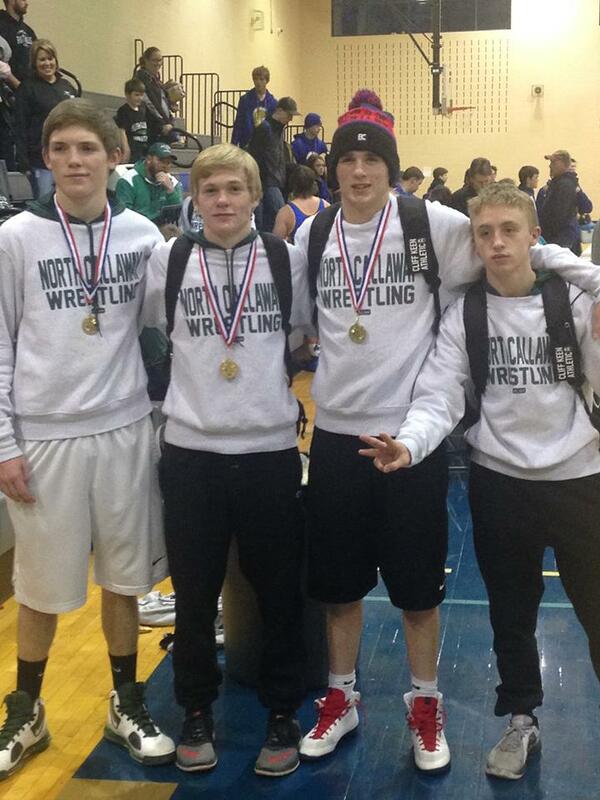 We will be wrestling in a quad at Marceline on January 3rd. Matches start at 5:30 pm. Our athletes have been working hard to represent us in the best possible way. We hope to see you at the games and we are… THUNDERBIRD PROUD! 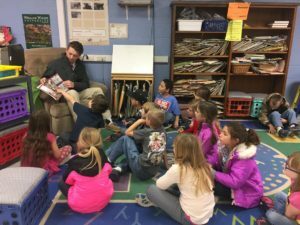 Basketball Team Leads with Reads! 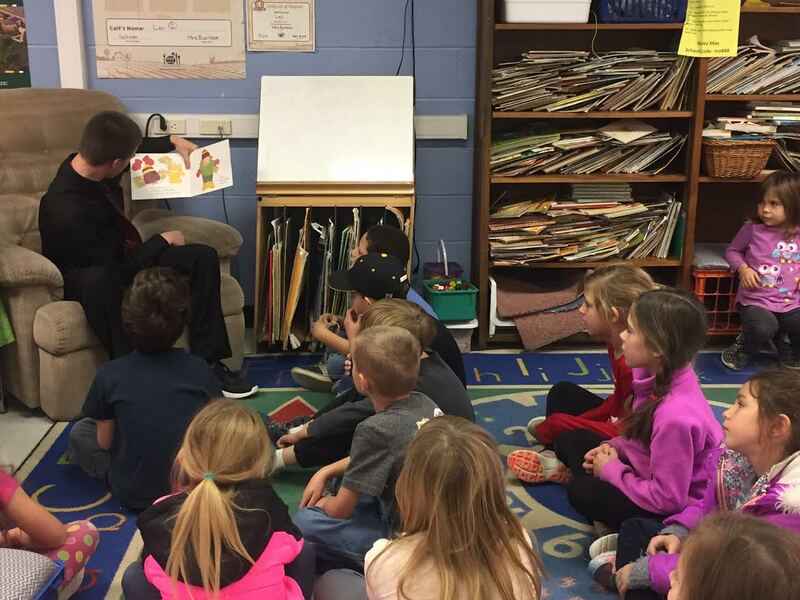 Boys and Girls Varsity Basketball Teams have been making trips to our Elementary schools to read to the younger students. Another great reason to be Thunderbird Proud! Cheer Warm-up Room will be in Gooch Gym. Phil Threatt, Certified Athletic Trainer with Sport & Spine & Joanna McClarey, Certified Athletic Trainer with SSM-St. Mary’s Hospital-Audrain will be available to treat injuries to athletes. Benefits for the Gary Filbert Classic will benefit the Gary Filbert Scholarship Fund. Team Hosts will be available to assist the Coaches & Players. 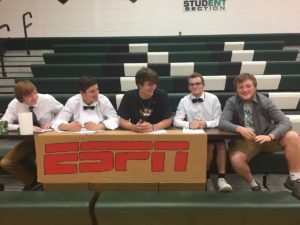 Team video will be available in bleachers behind scorer’s table. 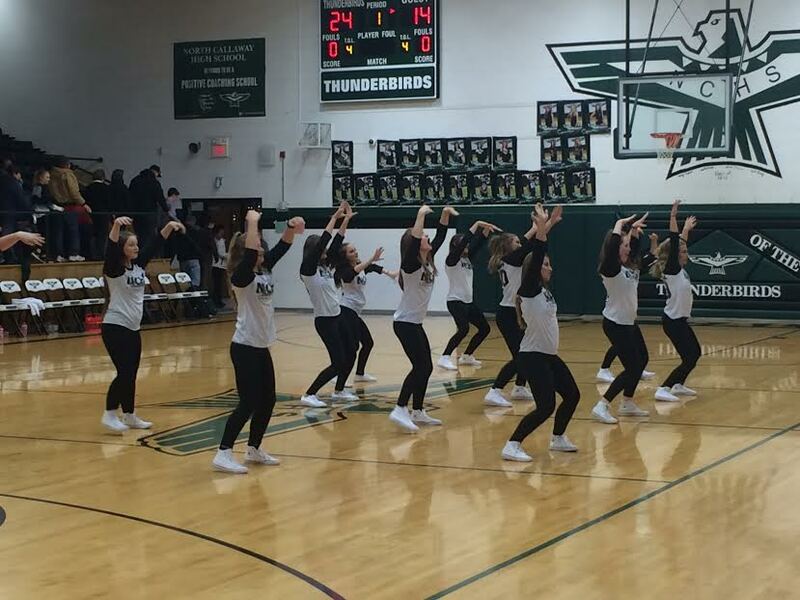 The newly formed Thunderette Dance club premiered at halftime of the Varsity Basketball game. 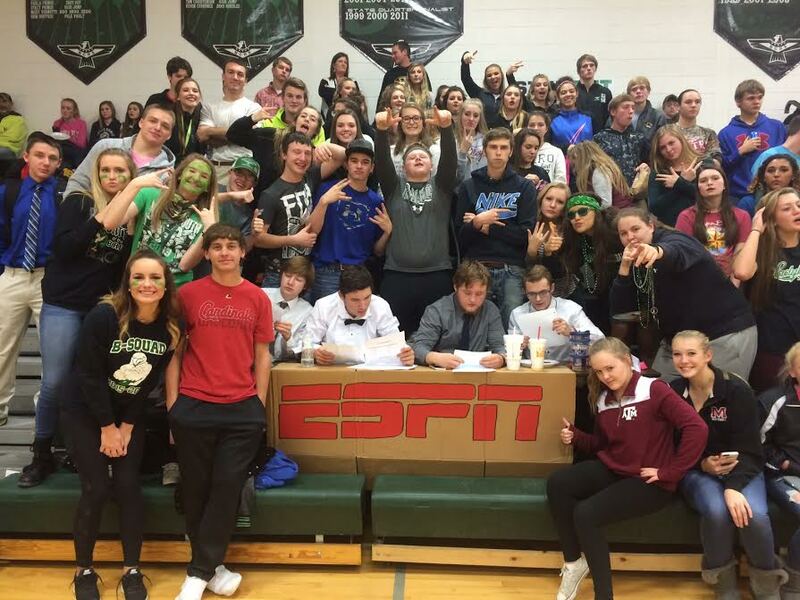 ESPN NIGHT @ NORTH CALLAWAY! B Squad theme was ESPN Night featuring a special interview with MIZZOU QB Drew Lock! Congrats to these 4 wrestlers for winning 1st in their weight class and the team for placing third in St. Louis at the Berkeley Duals! Thunderbird Proud! Ladybird Basketball Brings Home Hardware! 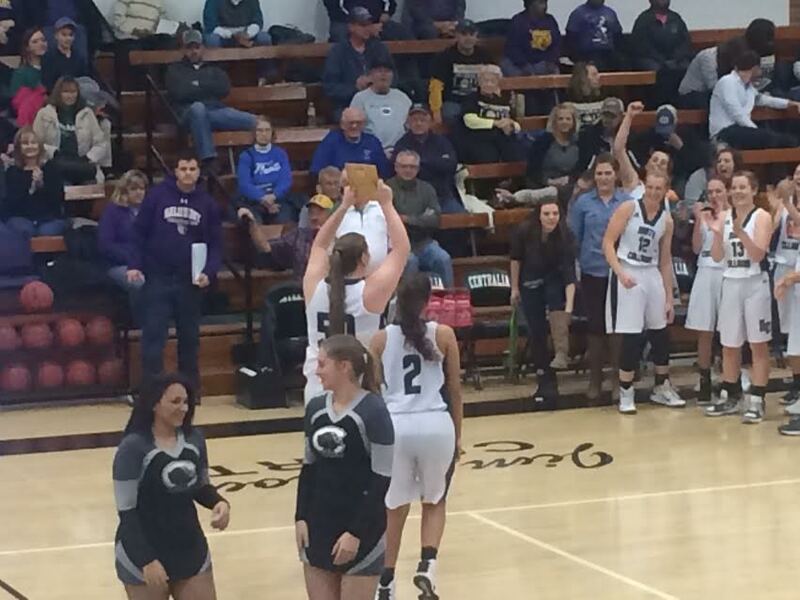 Congrats to the Ladybird Basketball Team on winning consolation in the Centralia Tournament. Congrats to Allie Schlueter and Kenzie Ausfahl for making the all tournament team! Meffert Signs Letter of Intent! 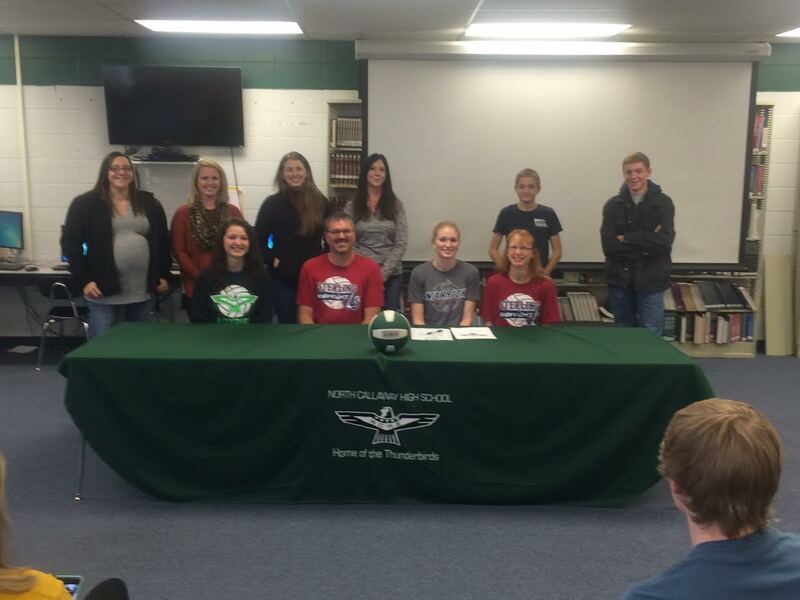 Colleen Meffert Signed a letter of intent to play Volleyball at Sterling College. 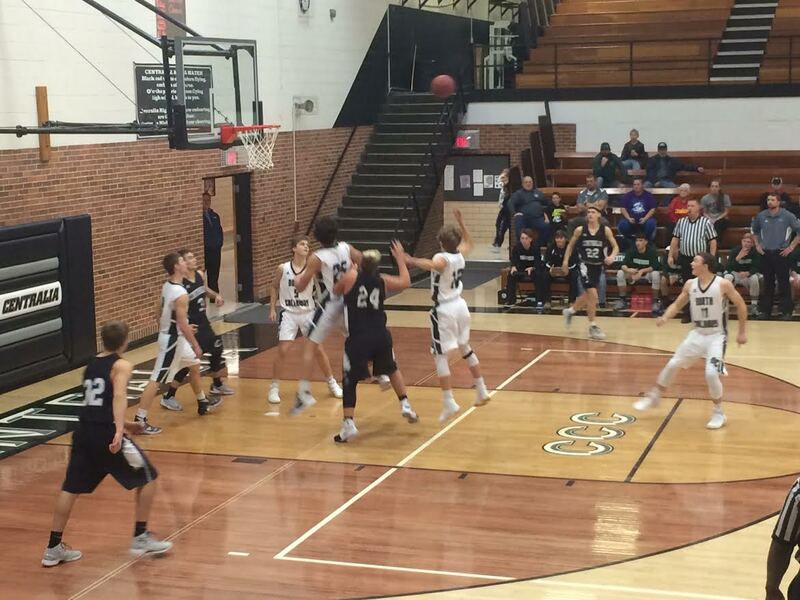 Sterling is a NAIA division 1 school in Sterling Kansas. Colleen was a 5’10” middle hitter that lead the team in Kills and blocks. 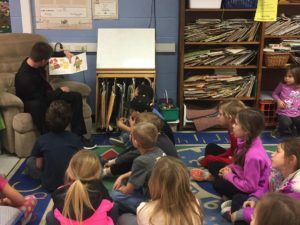 She also was a starter for the entire 3 years of the newly started volleyball program. In the picture, she is seated with her parents and sister. Her younger brothers, Coaches, and former Coaches are behind her. 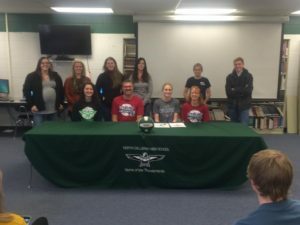 Colleen is the first Volleyball player from North Callaway to earn a scholarship. Congrats Colleen! 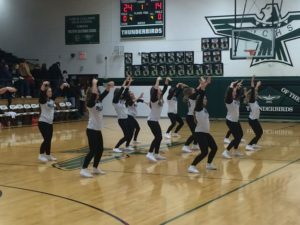 T-BIRDS & LADYBIRDS BASKETBALL EXCEL! 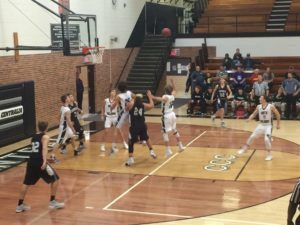 Both the Boys and Girls Varsity Basketball Teams exceeded the expectations of their opponents during the Centralia Tournament. 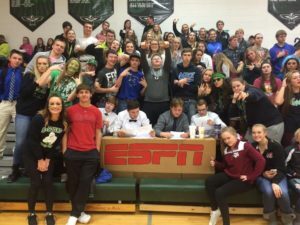 Both teams were picked by opposing Coaches to finish last, but have proved them wrong with victories over Sturgeon by the girls and Centralia by the boys. The girls play Friday and the Boys play Saturday for the consolation Trophy. Both Games start at 5 pm. Above is a picture of Xavier Sykes swatting away an attempted shot from a Centralia player. 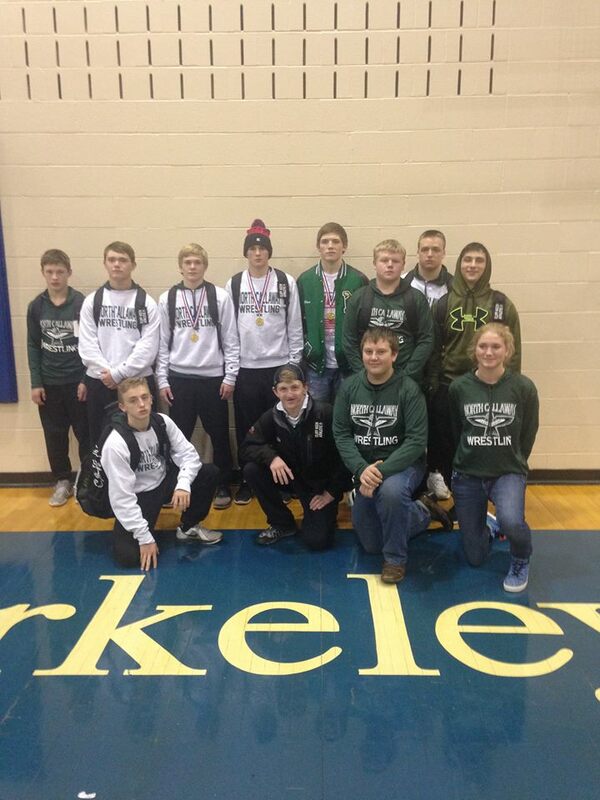 Good luck North Callaway, keep making us Proud!